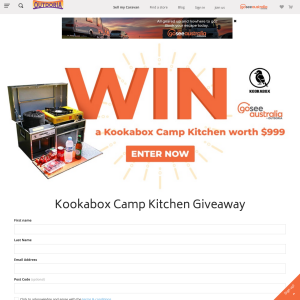 Entry is open to Australian residents over the age of 18 years or over and excludes any employees connected with the administration of the competition. One entry per person. Unless a second entry is granted by using the like button on the thank you page. Entrants found submitting multiple or fraudulent entries will be deemed invalid. The Promoter reserves the right to exclude entrants and withhold the prize for violating any of these terms and conditions. Entries must include all requested contact details to be eligible to win. Entries must be received by the promoter before the competition close date and time. The Promoter does not take responsibility for late or lost entries. The competition opens 09/02/18 at 8am AEST and closes on 29/03/18 at 23:59 AEST. The Promoter may select additional entries to be used as replacements in the event the winner cannot satisfy these terms and conditions or claim the prize. The winner will be notified by phone and email on 15/08/17.